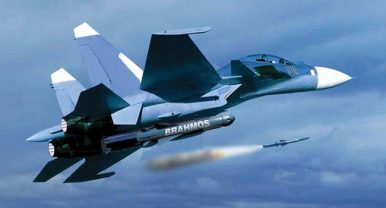 Last week, a modified Indian Air Force (IAF) Sukhoi Su-30MKI fighter jet took off from Kalaikunda airbase in West Bengal and fired a BrahMos supersonic, nuclear-capable cruise missile at a target ship in the Bay of Bengal. Flying over a distance of 260 kilometers, the missile effectively destroyed the vessel. This test is a game changer for Indian offensive prowess in the Indian Ocean region as the missile will act as a potent aircraft carrier killer due to its speed, range, and launch platform. As if the United States needed more evidence that its sixteen-year mission in Afghanistan is an exercise in futility, a new United Nations report provides an additional reason for depression. The 2017 Afghanistan Opium Survey from the UN’s Office on Drugs and Crime, released on November 15, confirms that Washington’s effort to curb illicit narcotics trafficking in the country has failed. Geopolitical rivalry between big powers sometimes yields odd results. The latest development in growing strategic competition across the Indian Ocean region is India’s purchase of what has become known as the “world’s emptiest international airport” in Sri Lanka, maybe just to keep it empty. The small fishing town of Hambantota, near the southern tip of Sri Lanka, has long been Exhibit A for those who worry about the strategic impact of China’s Belt and Road Initiative. Hambantota burst into international consciousness around a decade ago when Chinese companies were contracted to build a big new port, an international airport and, of course, an international cricket stadium – all connected by Chinese-built multi-lane freeways. America’s military-technological advantage, an aspect of its strategic power since the end of the Cold War, is eroding. In response, the Pentagon launched the third offset strategy in 2014—a department-wide effort to find new ways, both technological and institutional, to leap ahead of its competitors. In a new report for the United States Studies Centre, I argue that for the U.S. the third offset is partly an answer to matching its stagnating defence budget with its strategic ambitions. On December 6, Jilin Daily, the official state-run newspaper of China’s Jilin province, near the border with North Korea, published a page of articles discussing how to protect against injury in the case of a nuclear attack.The full-page nuclear attack survival guide — which included information on nuclear weapons, protective measures, and the difference between various disasters — was published one week after North Korea launched a new intercontinental ballistic missile on November 29. The article immediately alarmed the Chinese public as well as foreign media, as the public couldn’t help worrying about the subtext behind the newspaper giving the advice at such a sensitive time. The United States, Japan, India and Australia have renewed efforts toward a strategic constellation of democracies in the Indo-Pacific region, with their diplomatic officials meeting jointly on the sidelines of the recent East Asia Summit in Manila. The future of this currently low-key quadrilateral initiative (or “quad”) will be shaped largely by China’s actions, which are acting as a spur to establish what Japanese Prime Minister Shinzo Abe once called a “democratic security diamond.” If China moderates its behavior by respecting international law, the quad is unlikely to gain traction. But if Beijing continues to flout established rules and norms on territorial, maritime and trade issues, the apparition of what it sees as an “Asian NATO” might eventually come true. — No said by Einstein but by Alcoholics Anonymous, people who know everything about dysfunctionality. In Proceedings of the US Naval Institute, December 2017. The collapse of Islamic State’s self-proclaimed caliphate has not diminished the militant group’s ability to inspire attacks on Western targets via the internet, U.S. national security officials told senators on Wednesday. the Sunni Muslim extremist group has been building its external operations over the past two years and has claimed or been linked to at least 20 attacks against Western interests since January, said Lora Shiao, acting director of intelligence at the National Counterterrorism Center. “Unfortunately, we don’t see ISIS’ loss of territory translating into a corresponding reduction in its inability to inspire attacks,” she told a U.S. Senate committee. The last ISIS-occupied towns in Syria and Iraq fell recently, but not to the U.S.-led coalition. While the United States and its allied Syrian Democratic Forces (SDF) of Kurds and Sunni Arabs were liberating Raqqa, the Syrian regime and its backers launched an ambitious cross-country offensive into the neighboring resource-rich province of Deir ez Zour. Assad’s ground troops included Iranian, Hezbollah, Iraqi and other Shia forces – reportedly under the direct command of Gen. Qassem Soleimani, commander of the IRGC’s Qods Force – backed by Russian air power. Even before Raqqa officially fell, Soleimani and the SDF were racing each other through Deir ez Zour province, that last ISIS holdout and the final missing piece of Iran’s envisioned land bridge connecting Tehran directly to Hezbollah in Lebanon. North Korean intelligence apparatus is one of Pyongyang’s strong suites. Indeed, Pyongyang’s security services have demonstrated their ability to strike far from home as was shown during the assassination of Kim Jong-Nam—elder half-brother to the North Korean despot—in Malaysia. The Kim regime’s intelligence apparatus is ruthless and effective and could be used to good effect during any conflict on the Korean peninsula. North Korea maintains an extensive intelligence collection and security apparatus—as might be expected of a totalitarian regime such as the so-called Democratic People’s Republic of Korea. The Intermediate-range Nuclear Forces (INF) Treaty marks its thirtieth anniversary on December 8. That could be one of its last. Russia has violated the treaty by deploying a prohibited ground-launched cruise missile. Congress has set the Department of Defense on a course to follow suit. Meanwhile, the silence of U.S. allies in Europe and Asia abets the agreement’s demise.The end of the INF Treaty will make the world less safe. Can the Trump administration and U.S. allies preserve it? Last week, representatives of Bashar al-Assad’s regime and members of the Syrian opposition met for the eighth time in Geneva for what UN Special Envoy Staffan de Mistura billed as the best opportunity the parties have had to discuss a political transition for the country. Unfortunately, there is very little—if anything—to talk about; both sides remain so attached to their absolutist demands and negotiating positions that even mild compromise on Syria’s political future is beyond reach. There must be greater consensus among policymakers and thought leaders that the battle against the extremism of groups like ISIS and al-Qaeda is not against Islam, but against a perversion of the religion. Concerns about Islamist extremism are growing both in the West and in Muslim-majority countries as it continues to kill tens of thousands each year around the globe. Yet there is a deficiency in evidence-based research into how the supremacist ideology that drives this violence warps mainstream religious principles. There must be greater consensus among policymakers and thought leaders that the battle against the extremism of groups like ISIS and al-Qaeda is not against Islam, but rather against a perversion of the religion. This report aims to clarify the nature of that perversion, to enable a religiously grounded response to Islamist extremism, in both its violent and its nonviolent forms. The Army has approved a program to recruit experienced cybersecurity experts directly into the service as cyber officers in an attempt to bolster a growing field that military leaders see as vital to national security. U.S. Army Cyber Command will directly commission five civilians in the coming months, aiming to bring its first batch of officers into military training by February, said Lt. Gen. Paul Nakasone, the Army’s Cyber Command chief. The pilot program, approved by the Pentagon and Congress, seeks to bring in five new officers each year for five years. 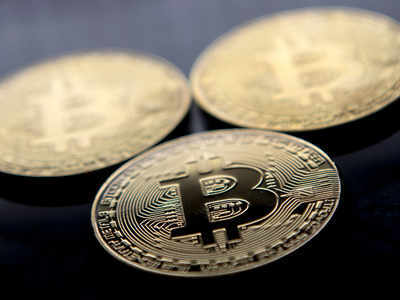 The price of a single Bitcoin, which is not regulated by any monetary authority, skyrocketed to up to $11,000 last week. "Huge volatility in the value of VCs has been noticed in the recent past. Thus, the users are exposed to potential losses on account of such volatility in value," the had RBI said. Citing its earlier warnings on the subject, the central bank said, "in the wake of significant spurt in the valuation of many VCs and rapid growth in Initial Coin Offerings (ICOs), RBI reiterates the concerns". In the vast swirling enterprise of global security space, the United States must come to terms with the tectonic shifts occurring as commercial companies come to dominate launch, the building of satellites and the sensors and software on which they depend, and figure out how to lead the way. That’s the conclusion of what may become a touchstone study by two of the brightest lights in national security space, Jim Vedda and Pete Hays. Vedda is a space strategist with the Aerospace Corporation and Hays works with the Space Policy Institute at George Washington University. They surveyed more than 30 experts on major areas of concern within the U.S. space enterprise to help leaven the study’s guidance. A Revolution in Military Affairs (RMA) is a theory about the evolution of warfare over time. An RMA is based on the marriage of new technologies with organizational reforms and innovative concepts of operations. The result is often characterized as a new way of warfare. There have been a number of RMAs just in the past century. An example of an RMA is the mechanization of warfare that began in World War I with the introduction of military airpower, aircraft carriers, submarines and armored fighting vehicles. Out of these advances in technology came independent air forces, strategic bombardment and large-scale amphibious operations. Another occurred with the invention of nuclear weapons and long-range ballistic missiles leading to the creation of new organizations such as the now-defunct Strategic Air Command and new concepts such as deterrence. In the 1970s, the advent of information technologies and high-performance computing led to an ongoing RMA based largely on improved intelligence and precision strike weapons. The 1991 Gulf War and Operation Iraqi Freedom in 2003 are considered to be quintessential examples of this RMA. It is 2024. During the Russian presidential election, Russian-nationalist proxies attack Latvian forces with surplus equipment from the conflict in Ukraine. NATO responds, preventing nuclear escalation and blocking larger Russian conventional involvement through a combination of military and diplomatic threats, while U.S. airborne forces deploy to reinforce a NATO battlegroup outside of Riga. Artillery units deploy swarms of munitions, cheap hunter-killer drones that act as armed scouts using machine-learning to find, fix, and finish targets. Soldiers with occupational specialties that did not exist just several years ago take the field — like maintainers who fabricate their own drone repair parts with 3D printers and data technicians who help optimize predictive algorithms, integrating intelligence data with open-source information. These technologies are available today, but the U.S. Army has trouble reaching them, owing to a broken modernization enterprise.